It is normal for children to seek out sensory experiences as part of their natural development. When your child has a disability or developmental disorder, it can be difficult for them to explore their environment like other children, and often need help finding sensory stimulation. The sense of touch, or tactile perception, is a complex sensory system that is critical for ALL children (and adults for that matter), not only those with disabilities. 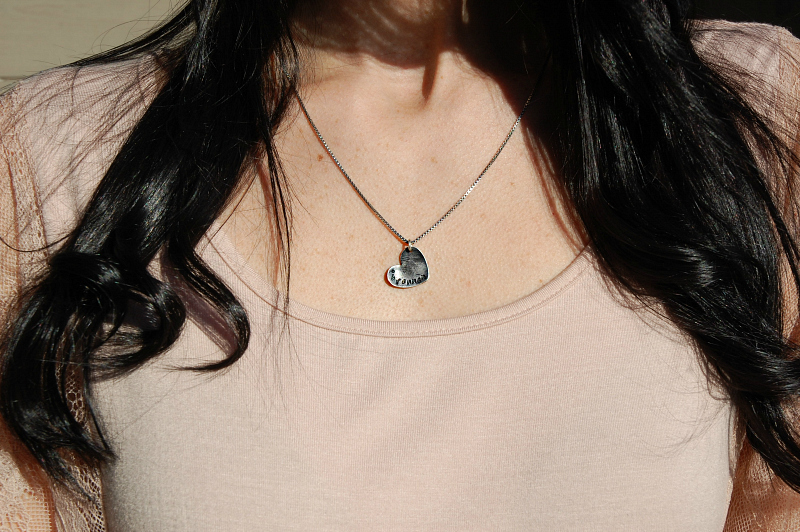 The tactile sense is how we interpret information we get from the receptors on our skin. When we touch an object, our nervous system receives the information and helps us analyze the tactile qualities such as texture, pressure, and temperature, to determine what it is we are feeling. When the tactile sense is fully functioning, children are better able to respond to all of the sensory input they receive throughout the day. Some children, however, experience difficulty processing this tactile information. They may be hypersensitive to touch, causing them to avoid certain tactile experiences, or they may be under-reactive to touch, where they would seek out more tactile input to give their bodies what they need. 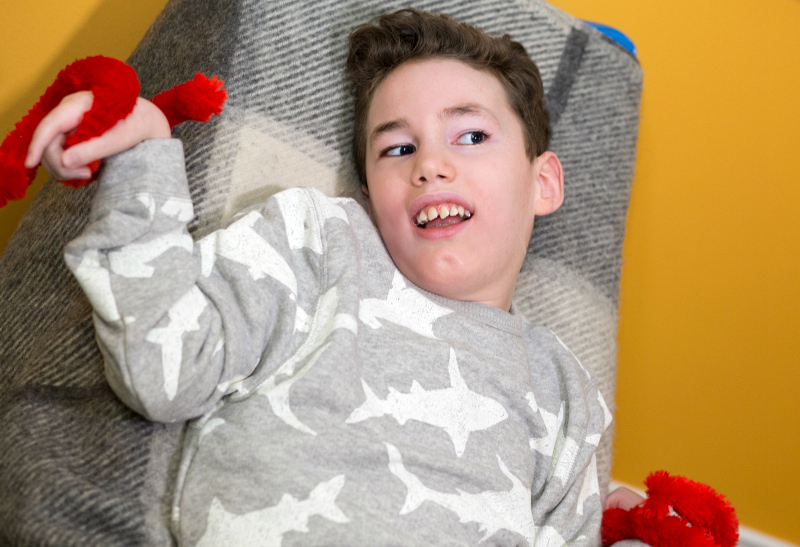 Brennen enjoys all sorts of sensory stimulation - from motion, touch, sight, sound and smell, he uses his senses to explore and interpret his environment. He lets us know what he likes and what he doesn't, and he has obvious preferences for certain things. 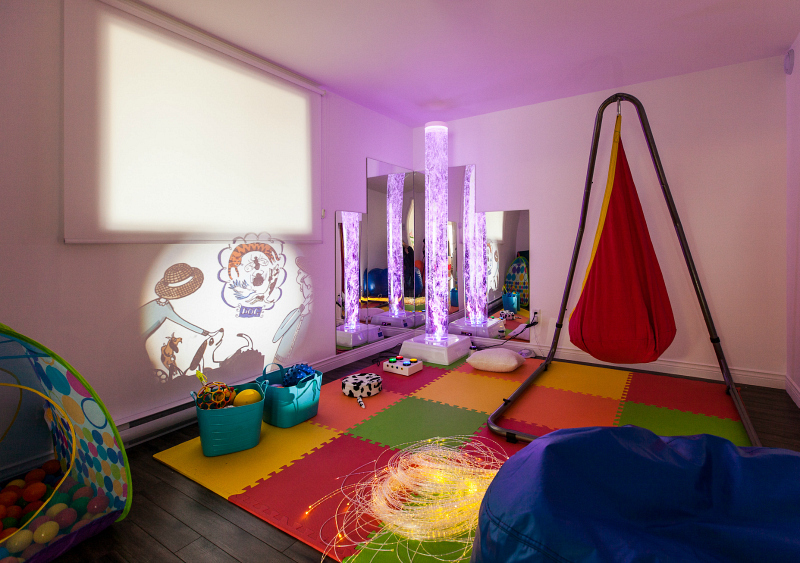 We have a Snoezelen Room in our home, which allows him to enjoy a wide range of sensory experiences without having to leave the house. Our Snoezelen Room includes a wonderful blend of sights, sounds, textures and aromas within an environment that is filled with a variety of easy to use devices, buttons, switches, and easy to grasp objects with different textures. 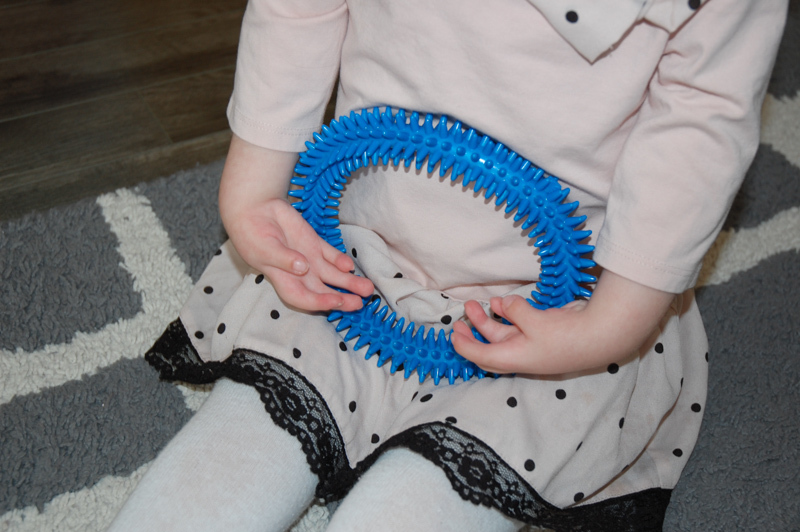 This post is focused on touch, so I have compiled a bunch of fun toys and tools from Playopolis Toys that we use to provide opportunities for play and exploration using the tactile senses. These toys are great for use at home, or are easy to take along with you to help your child meet their sensory needs while on the go. Playopolis Toys provides toys that encourage children to play, to learn what happens as a result of their actions, and to build on their skills. In addition to their online store, Playopolis Toys offers workshops on selecting and using toys for children with disabilities. These hands-on learning opportunities enable special needs programs like mine to make better selections and to explore all the ways these toys reward play and enhance development. I consulted with Christina Wallerstein, President and 'Chief Play Officer' at Playopolis Toys, in selecting appropriate toys for our group. Christina says, "All children learn differently. 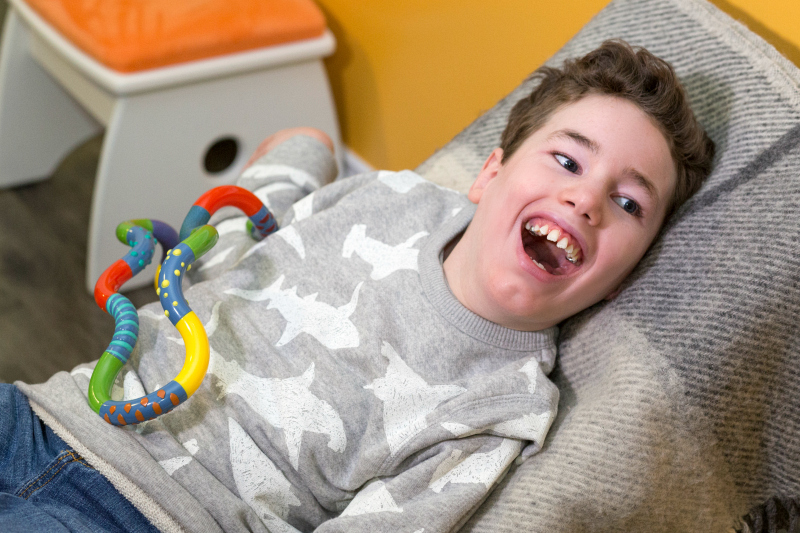 We offer toys with universal design to maximize sensory awareness as well as gross and fine motor, language, and cognitive development among children with diverse abilities. These toys offer distraction and multi-sensory stimulation, particularly beneficial to special needs children. As the mother of a son with learning disabilities, I understand the challenges of finding safe, durable, developmentally appropriate toys and activities that allow a child to be a child - to lose himself in joyful play with toys chosen to reflect his preferences and his abilities and designed to stimulate further success." Here are some of our favourite texture toys from Playopolis Toys! The Aku Ring - These soft, super flexible rings feature a unique studded surface that makes grasping and catching easy. It's funny to watch children's reactions to this one - Brennen doesn't like the spiky surface, but others are really drawn to it! Brain Noodles - These are jumbo 18-inch long, silky fiber stems that bend and twist any way you want! 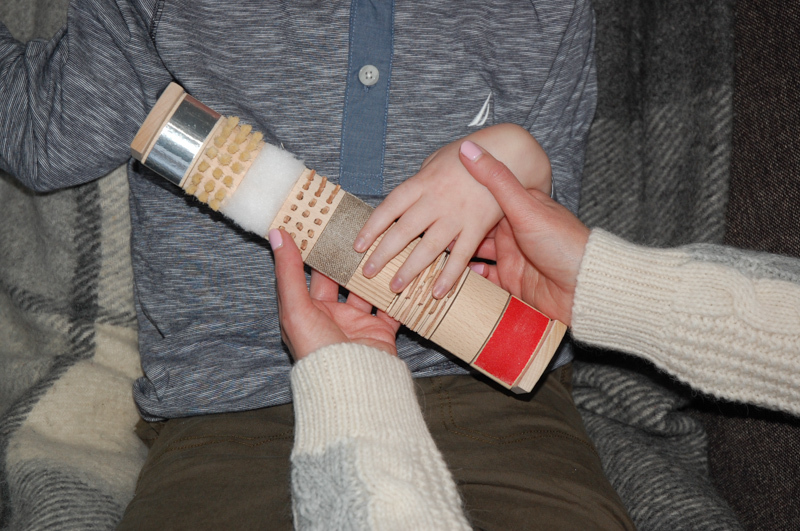 The Brain Noodles invite open-ended play and provide visual and tactile stimulation. Bright colors, soft, silky texture, and flexibility make Brain Noodles an ideal tool for sensory-motor integration and occupational therapy. They are like giant pipe cleaners, without the sharp end! 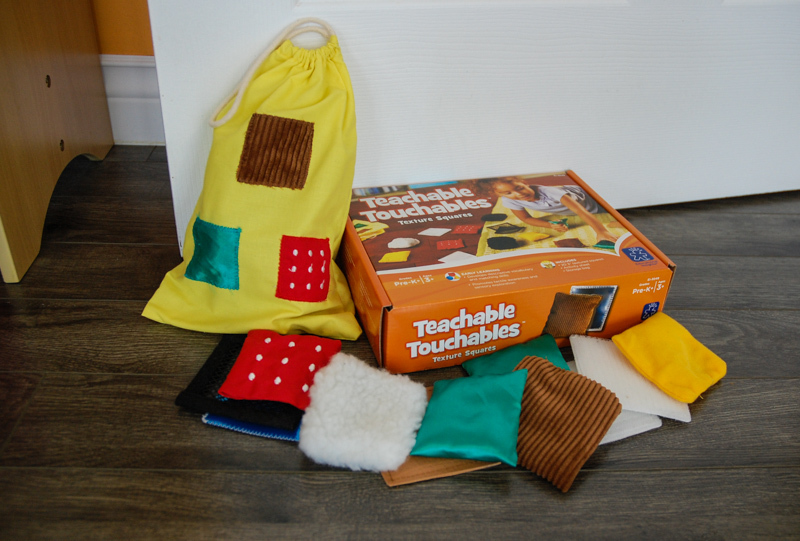 Teachable Touchables - Smooth or bumpy, fuzzy or furry, soft or scratchy? 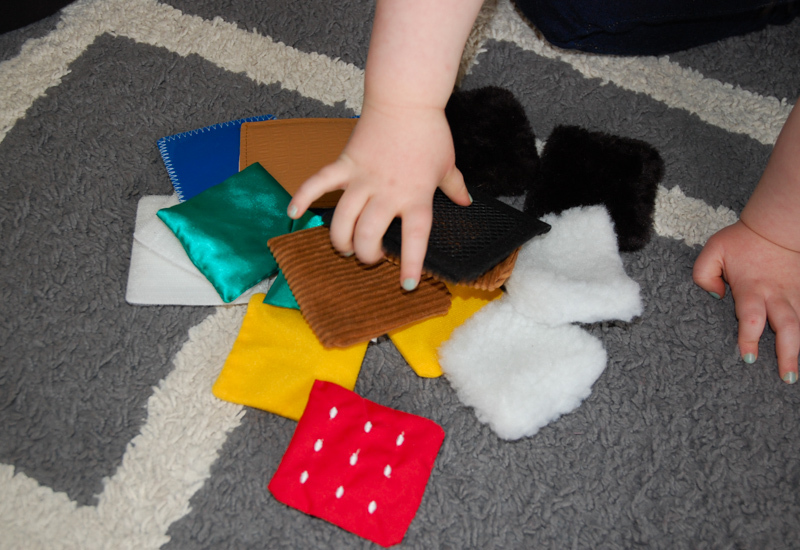 Children build tactile awareness and vocabulary as they explore ten distinct pairs of textured squares. Each pillow or patch measures approximately three inches and fits easily into small hands and into the cloth drawstring bag. You can make patterns or play pairing games, and they are portable so you can take them with you on the go! Bead Ball - Stressed out? Need relief? Grip a Bead Ball and knead away your stress. This ultra soft, flexible, thermoplastic ball filled with hundreds of brightly colored squeezable soft beads invites play, relieves stress and restores a sense of calm. It is the ideal exercise for building hand and finger strength. 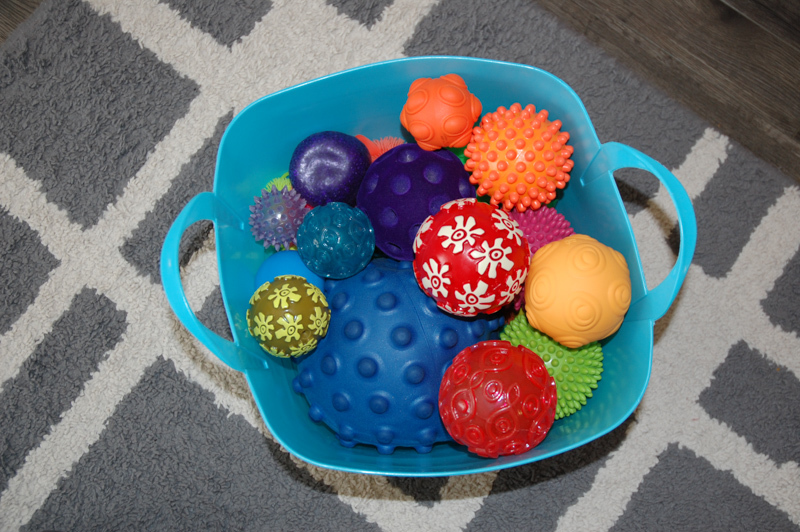 Oddballs - These balls offer unique textures, patterns and bright colors that children love to bounce, kick, squeeze, roll, chase and play with! Each ball looks, feels, and plays different, providing a unique sensory experience. Tactile Bars - This interactive sensory game strengthens tactile perception and concentration. Each wooden bar holds 9 smaller textured bars that can be removed to match together or create a variety of tactile combinations. Brennen loves the feel of the bristles and the ridged surfaces. Wikki Stix - Bright and colorful, nontoxic Wikki Stix bend easily, enabling a child to create pictures, letters, even stand-up flexible figures. 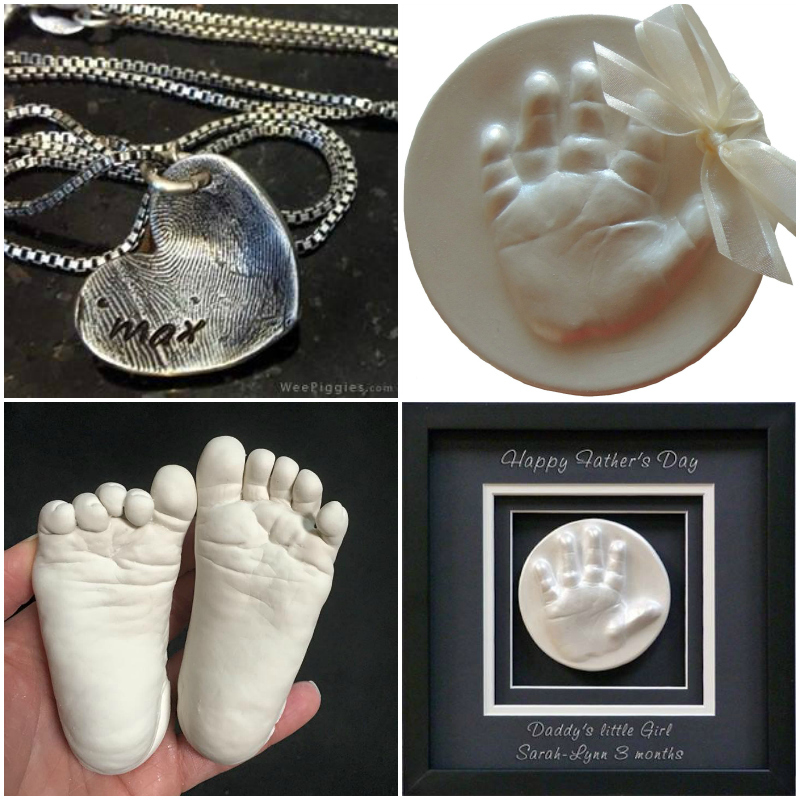 They provide tactile stimulation and help develop fine motor skills. 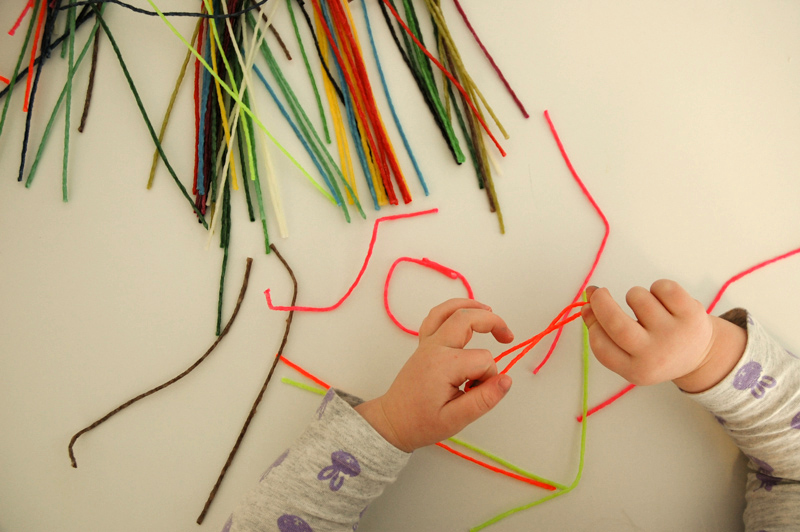 Wikki Stix don't break, dry out or stiffen, and can be reused over and over again to make all kinds of fun creations! 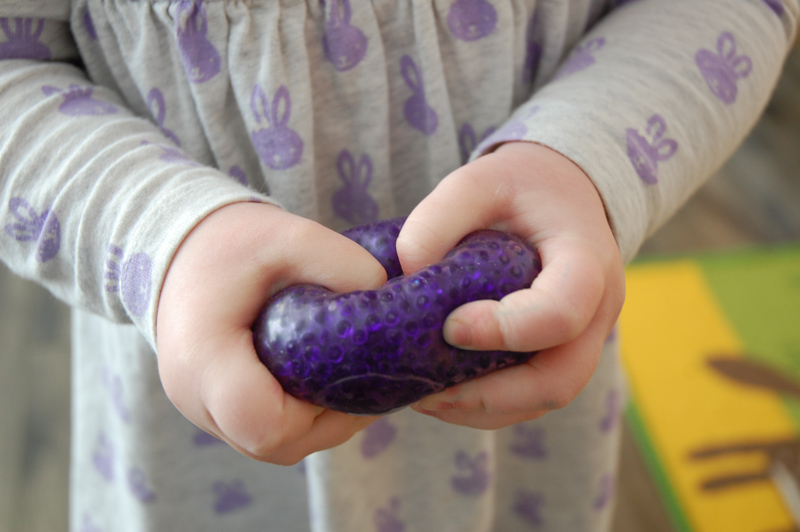 Tangles - The perfect manipulative for stress relief and hand therapy! These twistable tangles come in a variety of sizes and textures, including 'Tangle Relax Therapy', which features a soft, pliable coating and distinctive raised tactile nodes. 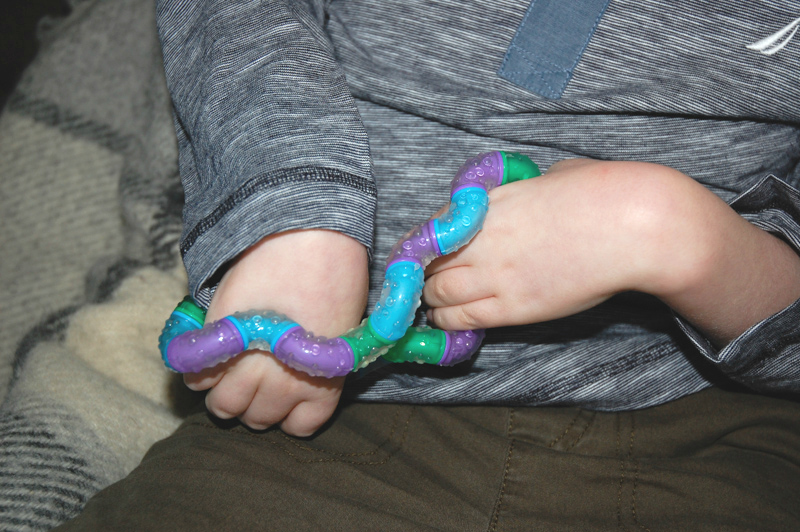 Tangles are easy to grip and manipulate, are lightweight and portable, and are endless fun! We have been having so much fun with these texture toys! Thank you to Christina and Playopolis Toys! Watch this wonderful video on Playopolis Toys and their idea of how children learn through creativity. This is a piece I shared a couple of years ago, but wanted to re-post for any new readers who might be wondering, "Why the name?" My blog is called Tiptoeing Through (the Tulips). 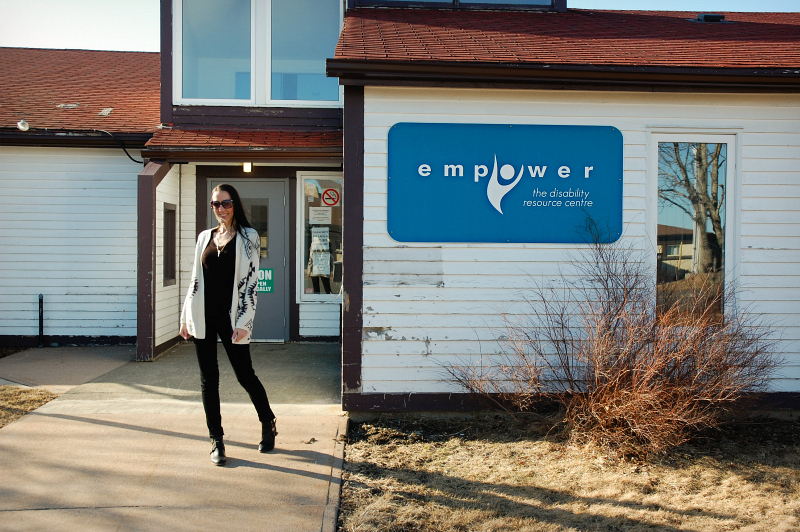 I run a child care program for children with special needs, called Little Tulips. Why am I so obsessed with tulips?! This whole ‘Tulip’ theme I have going on stems from an essay called “Welcome to Holland”, a story that many parents of children with special needs are familiar with. It was written in 1987 by Emily Perl Kingsley about her own experience having a child with a disability. I remember when Brennen was just a baby; being given this essay by one of the specialists we were seeing. Though there should have been, there was no warning, no precluding cautionary statement advising me to have tissues close by. She knew that I would appreciate it, and she was right. I read it and instantly connected. The words made sense. The analogy was strong and accurate. I have copied it below. As time went on, and the realities of having a child with special needs were sinking in, I began to realize that it wasn't that simple. It wasn't so easy to accept that I had landed in Holland, not at all where I had intended, and not at all where I wanted to be. I didn't speak the language. I didn't know my way around, and I didn't have a single friend there! How was I ever going to survive in such a place? There was something missing from Ms. Kingsley's original essay. It skipped over a lot of the harsh truths and went straight to the happy ending. Was there even to be a happy ending? These two women / authors / mothers both offer valuable insight into the unique journey that is raising a child with special needs. Each traveler has to find their own way. There will be ups and downs, good days and bad days. There will be days when you are proud to embrace the Dutch culture, and days when you'd rather be anywhere else. Right now, I am happy in Holland. I am rocking my wooden shoes. I am surrounded by Tulips, and they couldn't be more beautiful! I have been so inspired by the lives of the many children we know who face life threatening illnesses and disabilities. The children featured in my Tulip Tales series have been my source of inspiration. 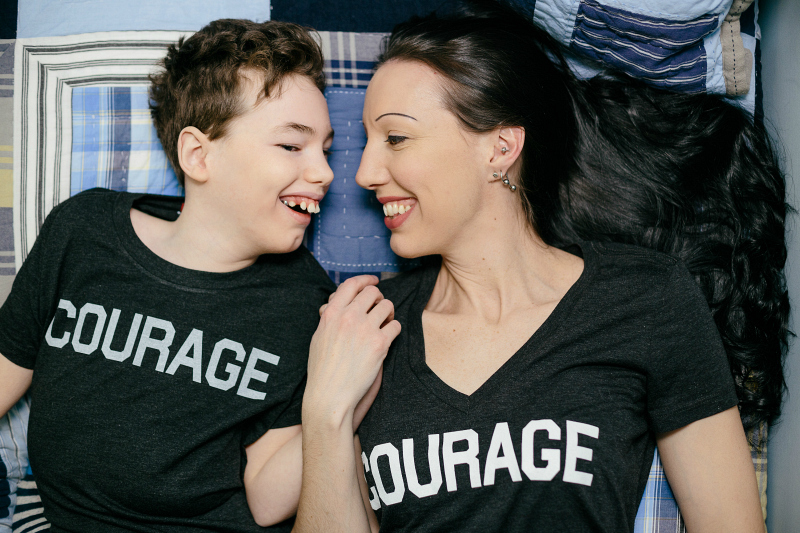 Children with physical disabilities, like my own son, or those with medical complexities or multiple diagnoses - they have incredible strength and courage and are a living testament to the unbending spirit that resides within all of us. These beautiful children have added a whole new dimension to my own perspective on life, as I hope they do to yours. These children's lives are filled with therapy sessions and doctor's appointments. They have been through surgeries and procedures and have had so much to endure at such a young age. It doesn't make sense. Why should a four year old have to battle cancer? Why must a baby never know a life free from tubes and machines? Why does a young child have to struggle so hard to do what comes so naturally to others? Why? Life can be unfair. Life can be hard, and we don't have all the answers. It takes tremendous courage to face the challenges that have been placed upon us. Sometimes the weight of everyday life can be overwhelming and it takes courage and strength to plow through. It's true. There would be no need to be brave if life was easy. The fact is that we all face challenges and adversity. It is how we handle ourselves and how we choose to face our challenges that will have the most impact on the path our lives will take. It takes courage to live this life. 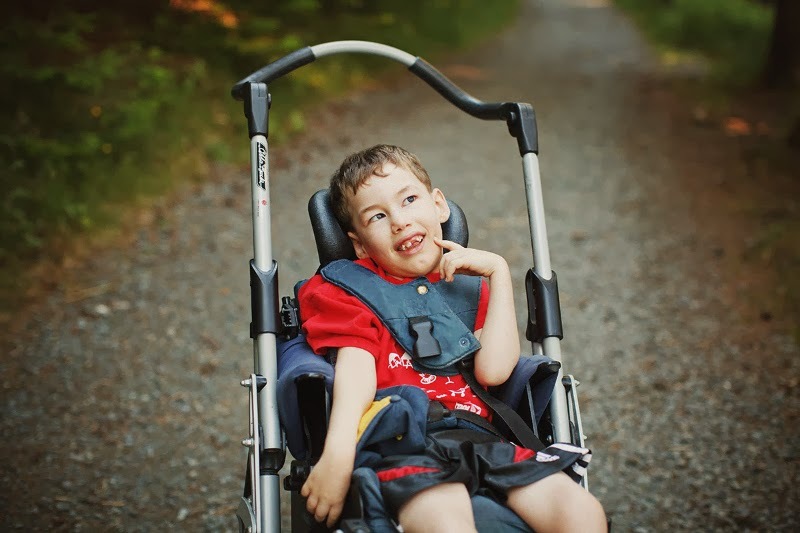 Children with severe disabilities and medical conditions possess an incredible strength and bravery, and parenting them requires tremendous courage and strength as well. I struggle with fear about so many things - the responsibilities are enormous - but I have begun to understand that I can acknowledge the fear, and move on with courage. There are many things in life that are scary, but some of the best things in life are things that scare us at first. Like traveling across the world, changing career paths, starting a new relationship, having a baby.. receiving a diagnosis.. and raising a child with special needs. All of these things may make you scared when you first think of doing them, but it can be even scarier to think of not doing them. Sometimes you come out of those scary, painful moments a different person. A better person. A happier person. Those scary moments can make the happy moments that much happier. Does that make sense? My life didn't go as planned for me, and that's ok. That's more than ok. In fact, I've never been happier! I think sometimes where you think you want to go, is not the place where you will find your heartfelt, most meaningful, most purposeful life. I have found that purposeful life in raising my child with special needs, and caring for other children with disabilities. I have learned that I can do hard things. I would never before have considered myself brave. I don't like roller coasters or airplanes. I don't eat strange things. I would never go bungee jumping or sky diving. I am not brave in that sense. But I have learned over these past eleven years that I am braver and stronger than I ever thought I was. It's not easy. Sometimes courage is so hard to find. When your tank feels empty, it can be hard to believe that you have any courage left at all, and finding renewed strength isn't always something that you feel capable of. When you think you've done the hard things, there are always more things that require more courage, and you just feel like saying, "But I've already done the hard things. I'm taking a break." But of course, there is no break. I am continuing to learn about being brave, and having courage. I learn from all of your stories, as they have brought inspiration, joy, tears, understanding, truth and love. My heart is full and I am grateful for all that I have been given, and all that I continue to receive. My son, Brennen is a constant source of strength for me. I am driven by the strength that comes from within him. I have learned so much from him, and have grown in ways I wasn't expecting. There is no question that my life has changed forever with an increasing awareness of my own strength through adversity, and a greater understanding of what's important. "Redfish Kids is a clothing company from Vancouver, BC. Each Redfish garment is made with love and attention to detail. Born out of a need to create clothing with "heart", Redfish Kids clothes are symbolic of our commitment to honour the strength and courage of our children and their unlimited potential to shape the future of our world." Every day, kids show courage. That courage is what inspired the creators of Redfish Kids. Their “Clothing for the Courageous” motto reflects the brand’s commitment to children and serves as a celebration of their courage, creativity and unlimited potential to shape the future. Wishing you courage, today and always! Rare Disease Day takes place on the last day of February each year. The main objective of Rare Disease Day is to raise awareness amongst the general public and decision makers about rare diseases and their impact on patients' lives. 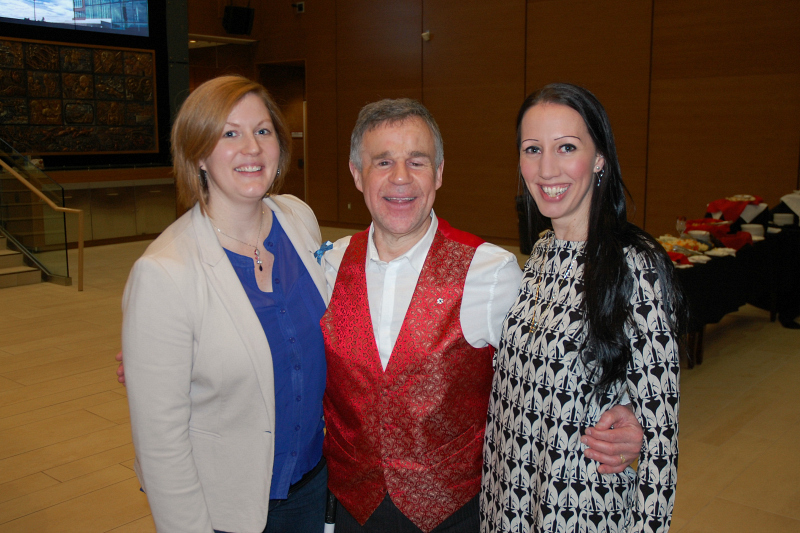 I wrote about Rare Disease Day last year - you can see that HERE. The theme of Rare Disease Day 2016, "Patient Voice", recognizes the crucial role that patients play in voicing their needs and in instigating change that improves their lives and the lives of their families and caregivers. The Rare Disease Day 2016 slogan ‘Join us in making the voice of rare diseases heard’ appeals to a wider audience, those that are not living with or directly affected by a rare disease, to join the rare disease community in making known the impact of rare diseases. People living with a rare disease and their families are often isolated. The wider community can help to bring them out of this isolation. 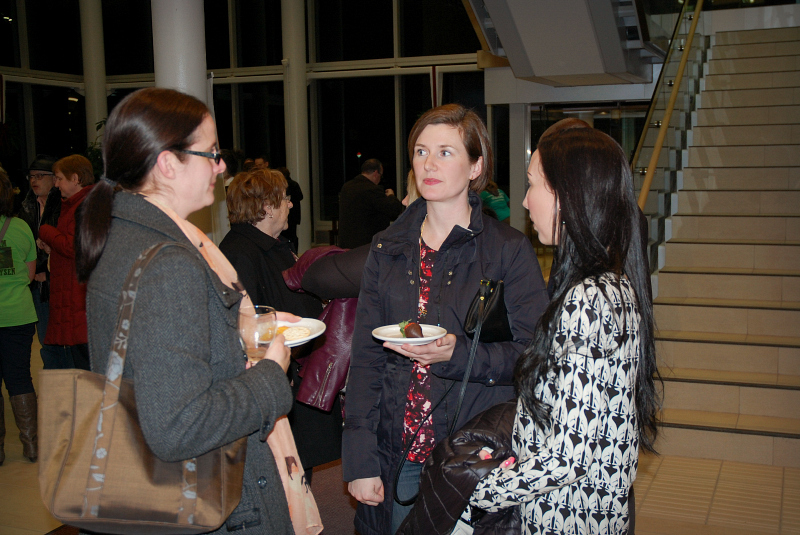 I was invited to attend a Rare Disease Day 2016 event held at the MUN Medical Education Centre. This event brought together parents and health care providers, and featured some wonderful speakers with their own unique perspectives on rare diseases. Dr. Kathy Hodgkinson is a researcher at Memorial University, who spoke about the importance of rare disease research here in Newfoundland. 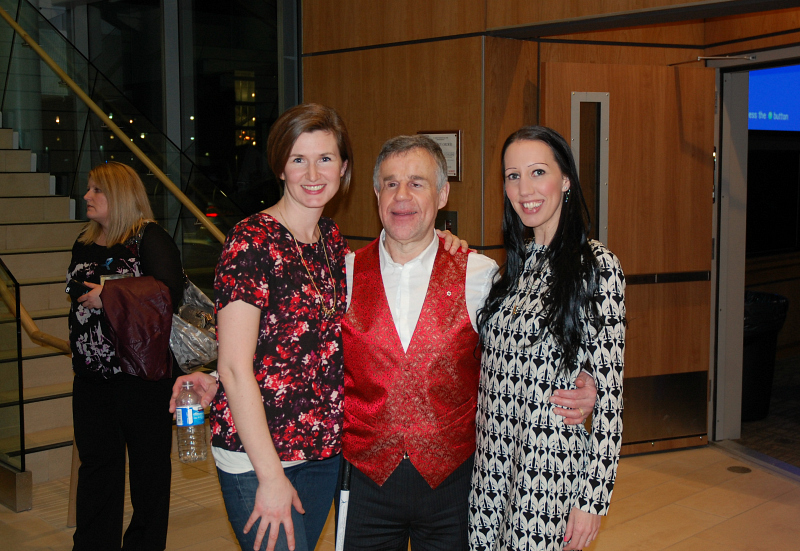 Dr. Hodgkinson talked about her work with families who carry the gene for the rare but deadly arrhythmogenic right ventricular cardiomyopathy (ARVC) - a form of heart disease that usually appears in early adulthood and causes sudden cardiac death. She described the impact her research has had on these families, since they are now able to identify the gene responsible for ARVC. Lucy-Anne Vokey is a former teacher and parent of three children (including Hannah, who I wrote about HERE). Lucy-Anne spoke about the joys and challenges of parenting a child with a rare diagnosis. Terry Kelly, one of my favourite humans (see HERE and HERE) was the Keynote Speaker for the event. Terry is a paralympian, singer, songwriter, entertainer, and lover of life. At the age of two, Terry's eyes were removed due to retinoblastoma, a rare, hereditary form of cancer. At the age of seven, he left his home in St. John's, Newfoundland to attend the Halifax School for the Blind in Nova Scotia. 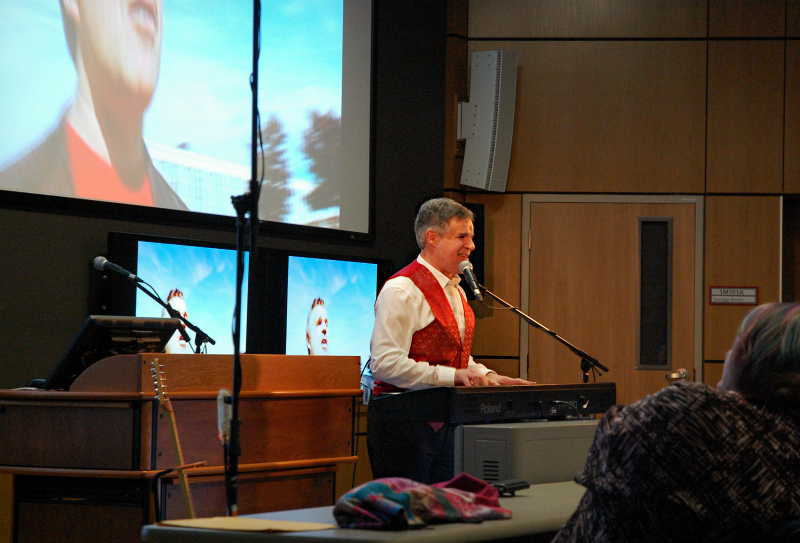 It wasn't easy for either Terry or his parents, but the difficulties initiated Terry's quest for challenge, developed his love of life and nurtured his musical talent. Terry uses his life experiences to touch the hearts of many and has motivated tens of thousands (including myself) to overcome personal challenges and live their lives to the fullest. 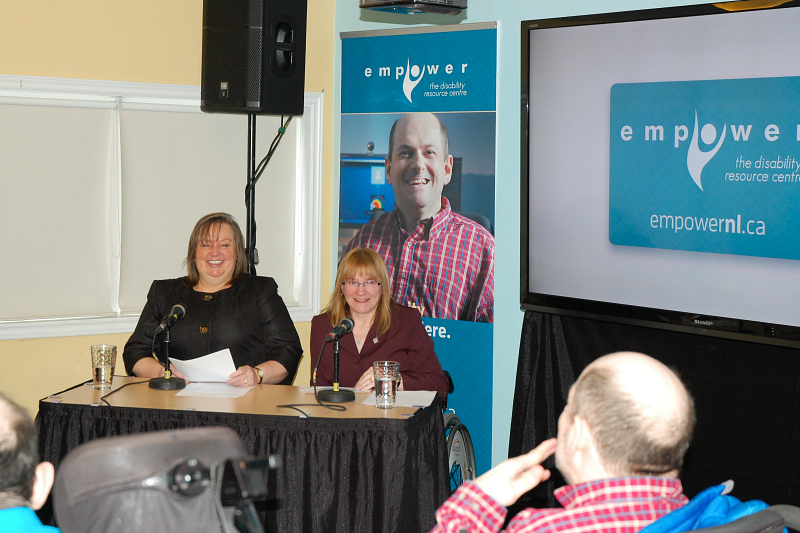 It was a special event, made notable by the powerful stories that were shared by some really special people. Lucy-Anne spoke so beautifully and emotionally about her daughter, describing many of the stresses involved with medical appointments and navigating the education system. She spoke to my heart when she talked about how much she has learned from her child, concluding with "We've come to realize that Hannah is our teacher, not the student." 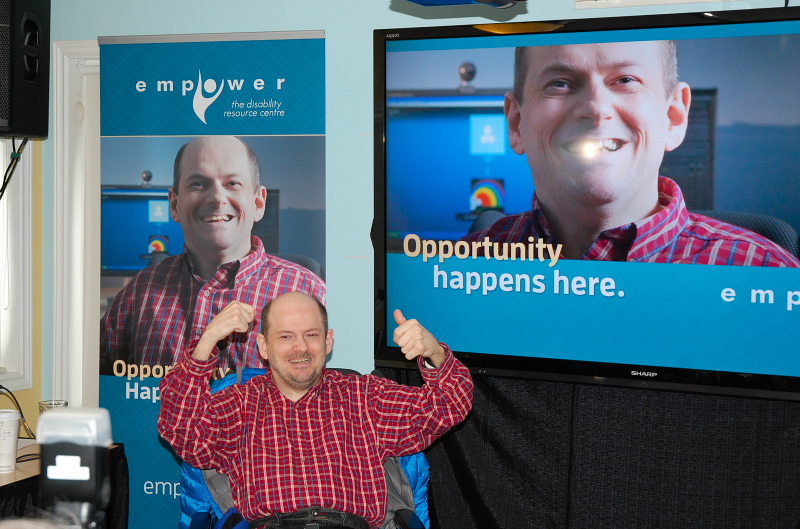 Terry talked about his experience growing up, going to the School for the Blind, and how his parents had the incredible courage to send him there, knowing it would be the best place for him to learn and grow and gain real life experiences. Terry also talked about his visit with my family over Christmas, and how he felt the love around Brennen as soon as he entered our home. It was very touching. I always appreciate when someone else can see and experience what I do every day - the joy and love around my little boy and the energy that comes from him is hard to describe in words, but Terry picked up on it right away. He ended by saying, "I hope you all have the opportunity to let someone like Brennen hug you with their beautiful light." A rare disease is any disorder that affects a small percentage of the population. Although the diseases may be rare, the number of people fighting them is great, and the patients and their families share a common struggle. Families touched by rare disease are often left in the dark with little or no community support, advocacy or outreach programs. We need more events and opportunities like this one - with doctors and nurses, therapists and researchers, families and caregivers, all coming together for a common purpose - to raise awareness of rare diseases and to bring compassion and understanding to those who live with them. - Terry Kelly, "Celebrate Life"